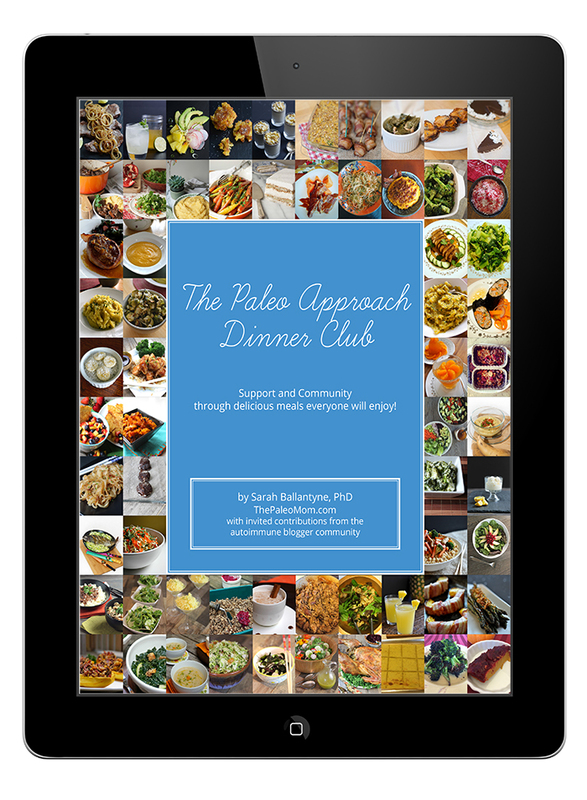 I'm hanging out with Angie Alt today on her Virtual Cookbook Tour for her new cookbook: The Alternative Autoimmune Cookbook. 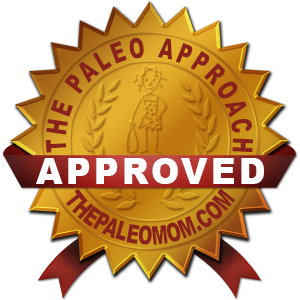 Angie is the blogger behind the Alt-ternative Autoimmune blog and a certified health coach. Angie sent me a copy of her eBook for me to review. I opened it on my Kindle and am loving it! The colors are beautiful, the format is simple and easy to read. The graphic designer in me (I had a couple of classes in college) absolutely loves the small accents and the cleanliness of the design. The photos are rich in color and appetizing. I also love that the recipes are divided up into Elimination Phase and Reintroduction Phase. But the cookbook isn't just recipes. And that's one of the best parts. Angie also covers lots of information regarding what AIP is, how to go about reintroductions, and how to monitor food reactions. The cookbook is a great resource, but she's not done there. She's also touched on Balance, Cheating, and the Farmer's role in AIP. This means she's covered the emotional/mental aspect of AIP and other lifestyle details that you wouldn't find in just any cookbook. I think it's brilliant, because at the end of the day, AIP isn't a diet. 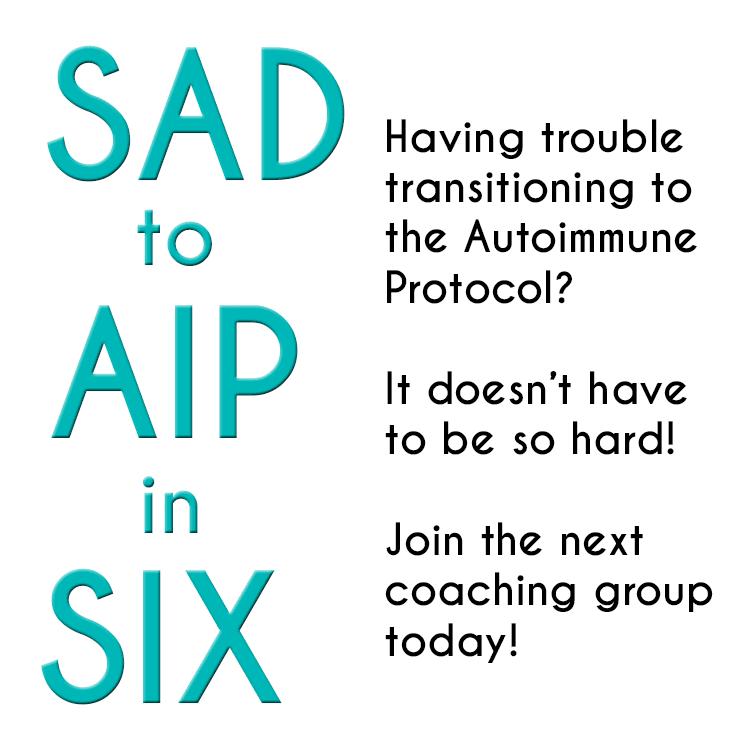 The Autoimmune Protocol is a lifestyle change, and it will change your life. The best part is that Angie's cookbook will help you get started, and continue to help you along the way. As a part of Angie's Virtual Tour "stop" at my house, I decided to do lunch with Angie using recipes from her cookbook. 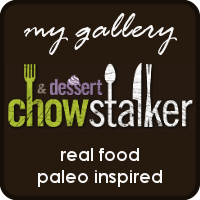 I am still in the elimination phase so I stuck to all strict AIP recipes. The way they are labeled makes it easy! I posted the photos this afternoon on my Instagram, but here's a recap! First off, the main course! I selected her Bacon & Artichoke Stuffed Pork Chops. Can we say amazing? The recipe was easily halved to two servings. The dish looks fancy and gourmet, but it whipped up pretty quickly, and then it's popped in the oven to finish cooking so that you can get things done in the meantime. 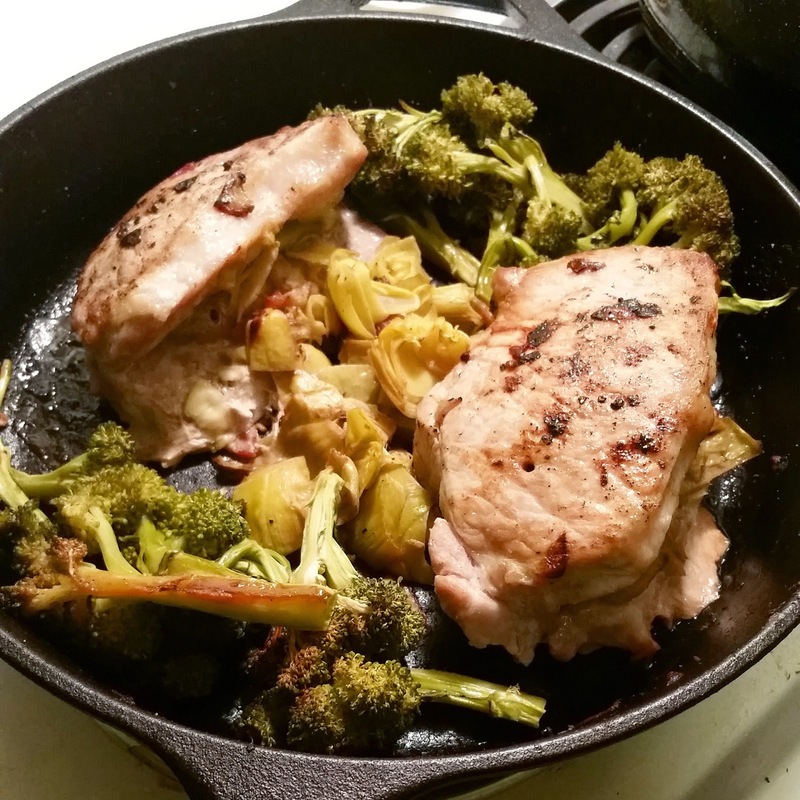 I cooked mine in a cast iron skillet so that I could place the whole dish in the oven. I added in some chopped broccoli tossed with bacon fat for an easy side, which means this has the potential to be a perfect one-pot meal. I didn't make any changes to Angie's recipe itself, and it came out delicious. I love a recipe that's perfect as is or easily flexible. For an extra side, I made her Honey & Rosemary Glazed Carrots. This dish is super easy and simple, and it's prepped and cooked in minutes! I used organic carrots so after washing, I didn't even peel them. 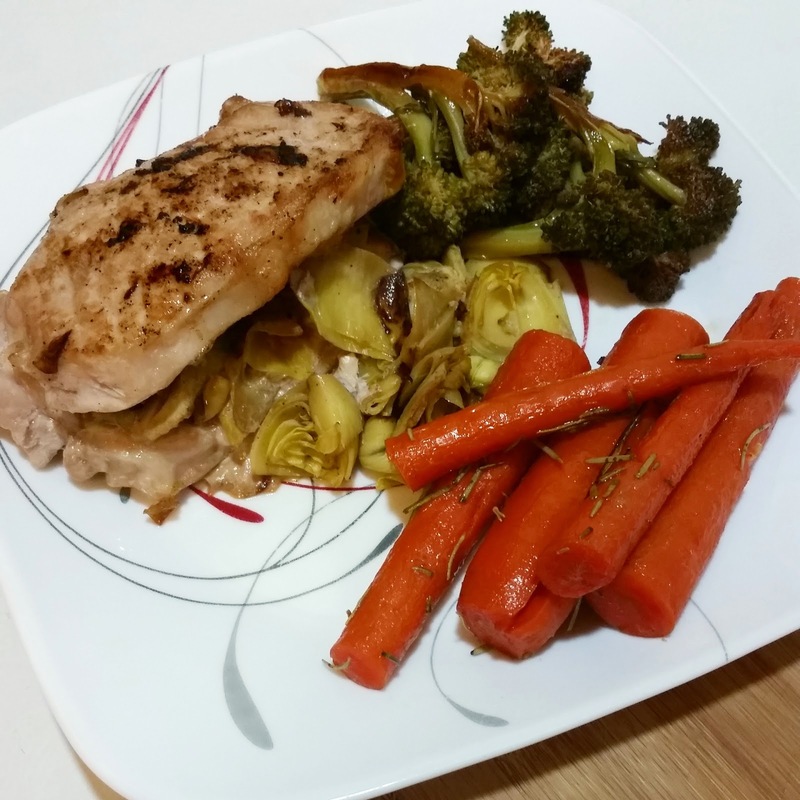 Need a quick weeknight side? Done! 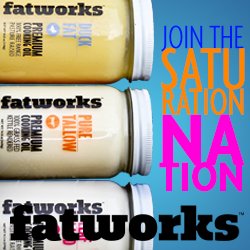 The flavor is also simple but balanced. 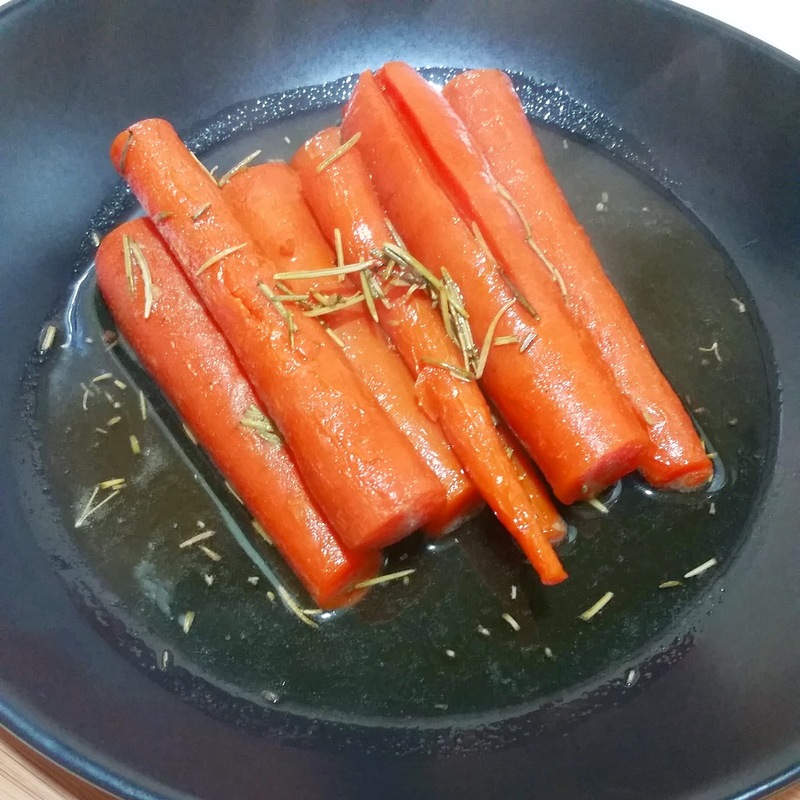 The honey and rosemary pair beautifully together, and it's a nice change for carrots. I don't prepare them often enough because other than roasting, I always run out of ideas. This recipe will change that. The whole dish was ready in less than an hour, but most of that was dead cooking time where I could work on other things. In my opinion, that means it's a fabulous weeknight meal that's pretty simple and a crowd pleaser. Now I couldn't help but choose a dessert to finish out the meal. While I'm not big on sweets, I do like to try baked goods as an occasional treat. So when I was flipping through and trying to decide, the Rosemary Tea Time Biscuits immediately caught my eye for several reasons. 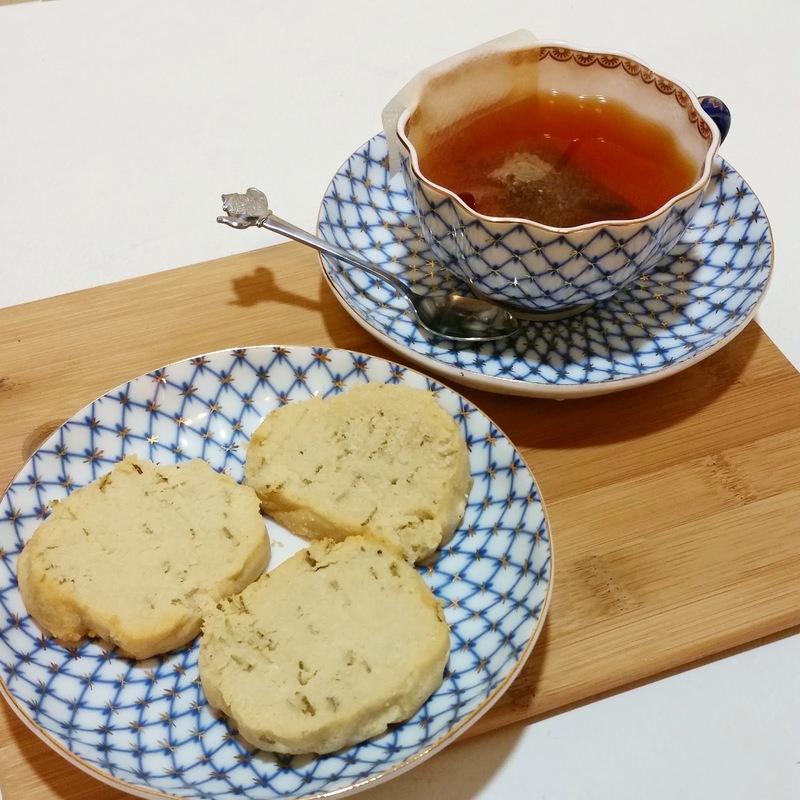 First, I love tea, and I've been dying to find an AIP biscuit or cookie recipe that would pair well together with a hot cup. When I scanned the recipe, I noticed that it was not a very sweet recipe so it's perfect for what I was looking for—a nice treat that's not overly sugary. After making the recipe, I fell in love. The texture is light and crumbly and delicate; it is beyond perfect as a tea time treat or as a light dessert. And the flavor is absolutely delectable. A true winner! I served mine with Tiesta Tea's Red Rose Loose Leaf Rooibus for a delicious fall combo. I am so excited about this cookbook. 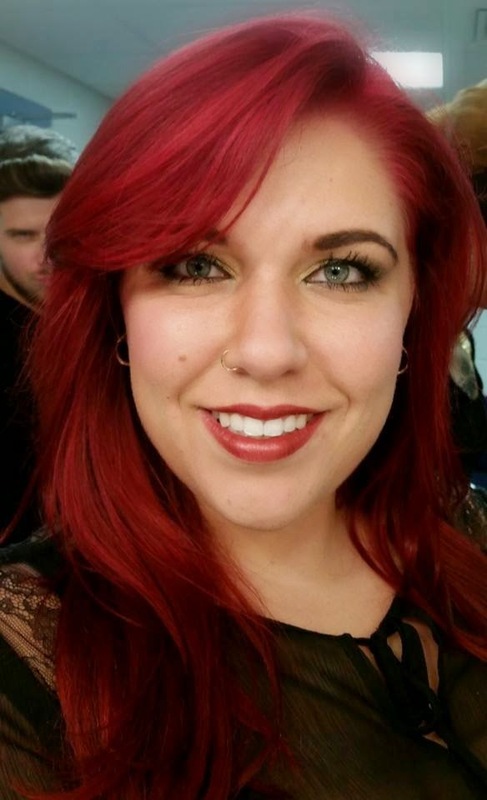 Angie has done a fabulous job. I've already fallen in love with the eBook. But since I'm a book lover in general, I can't wait to get my hands on the print copy. Do your autoimmune bookshelf a favor, and grab yourself a copy. And as a special gift for my lovely readers, Angie has given me permission to provide you with a recipe from her cookbook! And yes, it's more rosemary, but it's my favorite herb right now! Preheat oven to 400°F. Put diced squash in a large bowl and drizzle with oil. Add shallots, rosemary and salt. Stir to coat. Spread squash in a single layer on a baking sheet. Roast 30 minutes, stirring halfway through for even browning. Serve and enjoy!